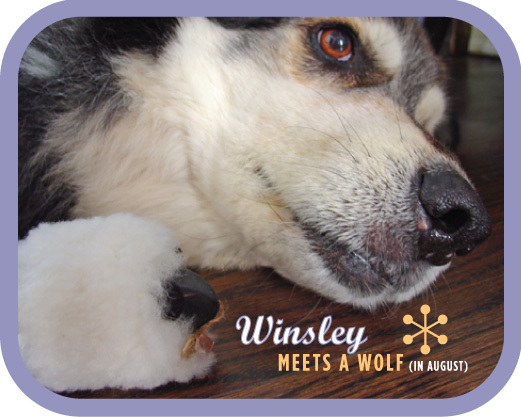 “I think I see a wolf,” thought Winsley, and he went over to introduce himself. The wolf did not move. 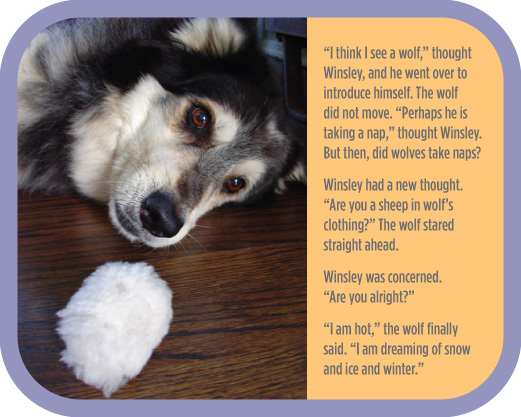 “Perhaps he is taking a nap,” thought Winsley. But then, did wolves take naps? 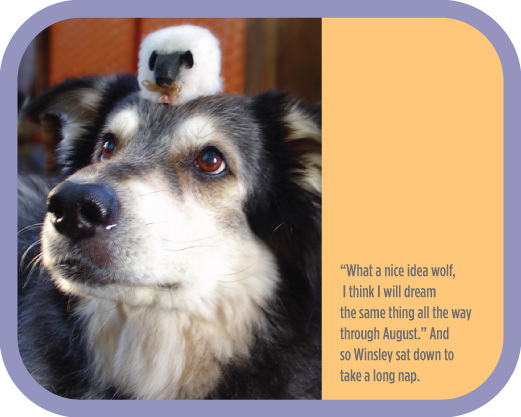 Winsley had a new thought. “Are you a sheep in wolf’s clothing?” The wolf stared straight ahead. Winsley was concerned. And so Winsley sat down to take a long nap.